We mentioned diamond and diamonds many times in this big international omnilogy forum, but we hadn't a concrete diamond topic. Now we have it. Let's talk and learn more about the diamonds. http://en.wikipedia.org/wiki/Diamond#mediaviewer/File:HPHTdiamonds2.JPG This work has been released into the public domain by its author, NIMSoffice at the wikipedia project. This applies worldwide. NIMSoffice grants anyone the right to use this work for any purpose, without any conditions, unless such conditions are required by law. Do you know that there is an economics paradox named 'diamond–water paradox' or paradox of value? 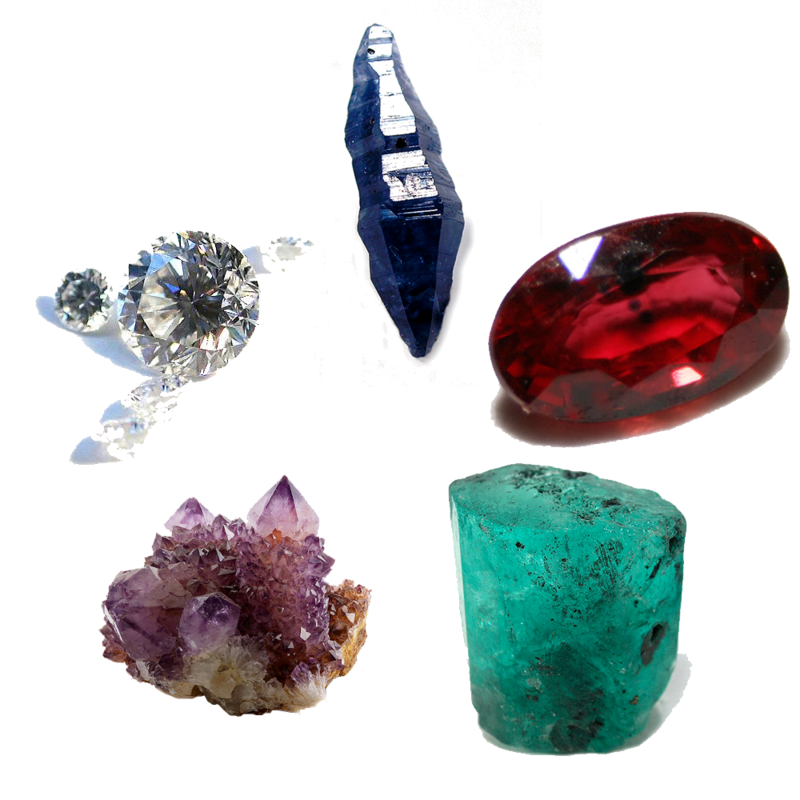 I saw an interesting photo -- some precious and semiprecious stones (including a diamond): By Brillanten.jpg: Creator:Mario SartoBeryl-34669.jpg:Rob Lavinsky / iRocks.comDescriptionAmerican mineral collector and mineral dealerDate of birth13 December 1972Location of birthColumbus, United StatesWork locationUnited States - Brillanten.jpgBeryl-34669.jpgCorundum-41673.jpgRuby_gem.JPGAmethyst._Magaliesburg,_South_Africa.jpg, CC BY-SA 3.0, https://commons.wikimedia.org/w/index.php?curid=9986544. All of them look pretty. Did you know it? Alexandrite is a variety of chrysoberyl. More about them in Wikipedia: https://en.wikipedia.org/wiki/Chrysoberyl#Alexandrite.